I want to ensure that my customers get the most from their purchase and are able to create beautiful and realistic flags for their miniatures. 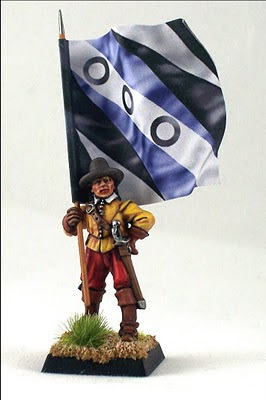 To that end I have created this tutorial that should allow anyone with basic skills and a few simple tools to create a show piece flag or flags for their model army. 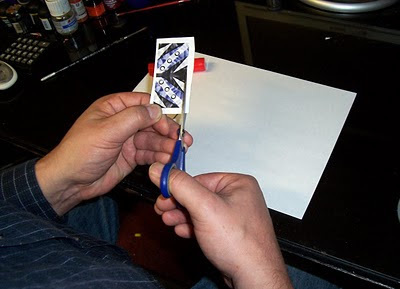 Only a good pair of scissors, a couple of pieces of clean paper, model flag staff, glue stick and of course your chosen Battle Flag are required. 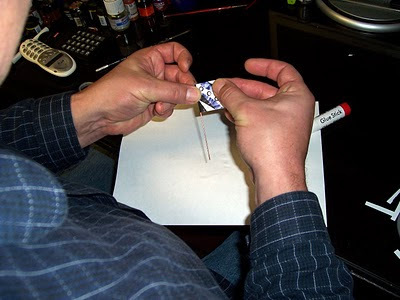 The glue stick is very important as this form of adhesive has proven itself to be by far the most effective for assembling flags from the Battle Flag range. 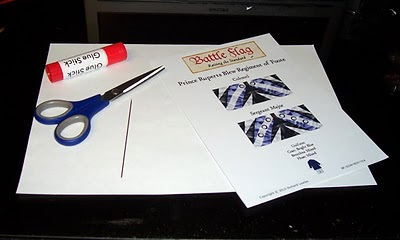 Having cleared a suitable working area the first task is to simply cut your chosen Battle Flag from the carrier sheet. This can be done quite roughly and you should ensure that there is a fair amount of spare border around the flag. Do not try and cut the flag accurately from the sheet. Once the flag has been removed now is the time to cut it accurately. 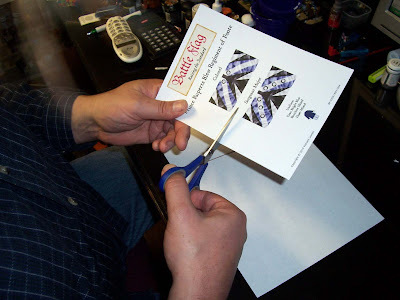 Take your time and ensure that your cuts are straight. 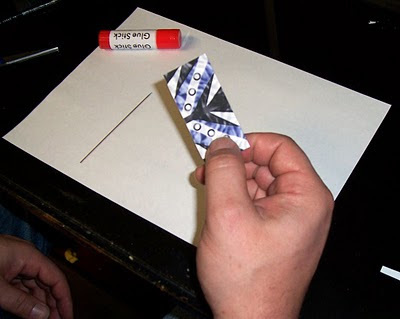 Some might want to use a ruler and craft knife for this, if you do please be careful, personally I prefer scissors. Once the flag has been cut out, fold the flag in half at the midpoint. 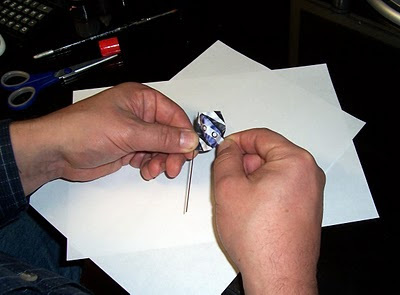 All Battle Flag’s have a central portion that is included specifically to wrap around the shaft. 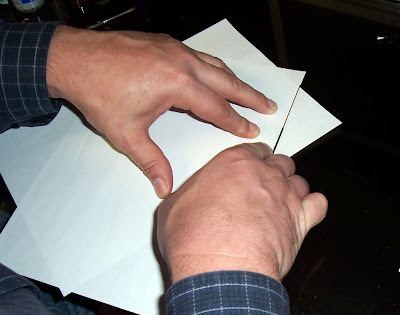 The fold must be accurate and I find that it is best to first fold it lightly and then to place between the two pieces of paper and crease it heavily with my finger tip. The paper will ensure that the flag remains clean of grease etc. 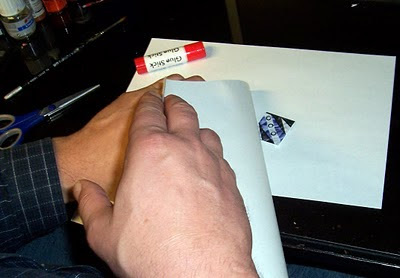 Once properly folded and creased open your Battle Flag again and place it face down on clean paper. Then holding the flag firmly apply a good amount of glue stick to the rear of the flag. The whole of the back should be covered not just half or part and again this is important to ensure a good finish. Place the flag pole into the crease and fold the flag over pressing the flag gently into place into place. 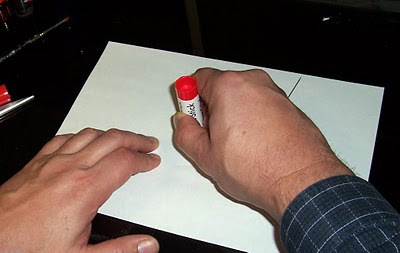 Then having checked the alignment for a final time place the flag on the table between the clean paper and press firmly. Once flattened satisfactorily you can now add a few flowing curves. This can be done freehand or with the aid of a paintbrush handle or similar. Take your time as you do not want to add creases just gentle curves. 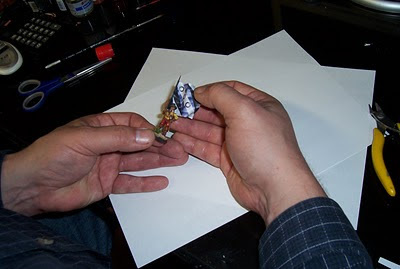 When the glue is set you will have quite a rigid structure and you can now attach the finished standard to the figure. Great tutorial and very realistic results. Impressive stuff. I have found that the flag can be enhanced if you take a non-seeping marker and go around the edge with the appropriate color(s). If the flag is red, then rub a red marker around the outside edge so it does not show white. In the above example, I would use appropriate blue and also black on the edge sections of those colors. Stops the flag from looking like a folded piece of paper with the white showing through. Thanks Matt. Glad you found it useful. The non-seeping marker around the edge of the flag is a very valid point and using the range of colours rather than simply black makes them look all the better. I tend to use acrylic paint diluted and built up in a few layers until I have the appropriate shade.